Gene Hunt is truly one of Chicago's pioneers in the house music industry since the early 80's. He has been one of the top jocks moving and educating crowds and music lovers for the past 18 years of his career playing at the hottest venues such as the warehouse, the music box, medusas, the playground, and many more. 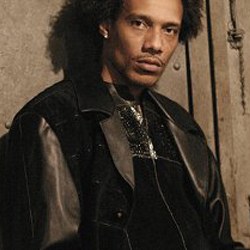 This legend has worked with some of the heaviest hitters in the game such as Ron Hardy, Farley Jack Masterfunk, Robert Owens, Mr. Fingers, Larry heard, Frankie Knuckles and Marshall Jefferson. "I'm from the old school" says gene. "I've seen many eras of house change over the years and I know what the people want''. Now Gene Hunt is pouring out a lot of records and projects throughout the world for different labels such as traxx,; an old classic label where Chicago house was exposed where he released his first ep called living in the land in 1987. Then Gene moved onto several uk labels such as djax, hybrid, mc projects, step2house, and Svek Records where he made his mark abroad. Mr. Hunt is currently working on soulful vocal house music with a new set of heavy hitters in the game; Glenn underground, Roy Davis Jr., E-Smooth, Ron Trent, also new labels TrackMode, Moods&Grooves Nlc, GotSoul Recordings, Shelter Records and many more. 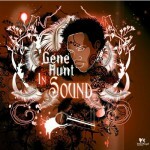 Be on the lookout for Gene Hunt's new house label; us studio records coming soon… Gene is now working with Harley&Muscle doing an album called "In Sound". Gene hunt is the apprentice of the legendary Ron Hardy so keep a close eye on the things to come from this Chicago icon.